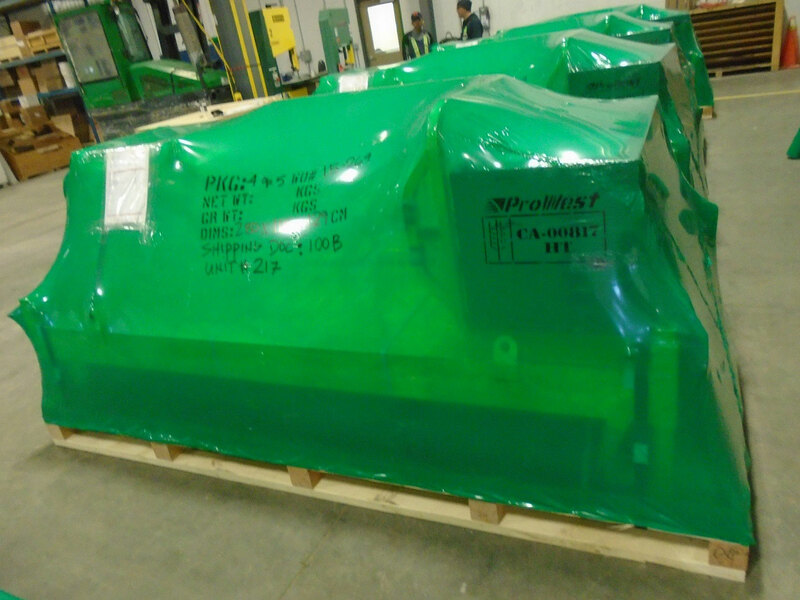 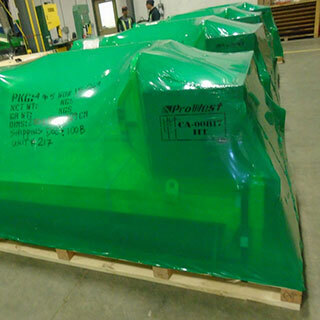 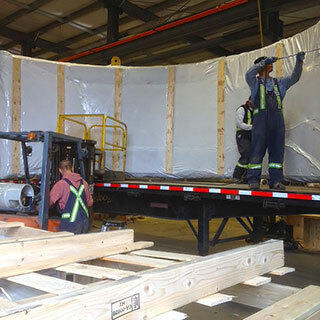 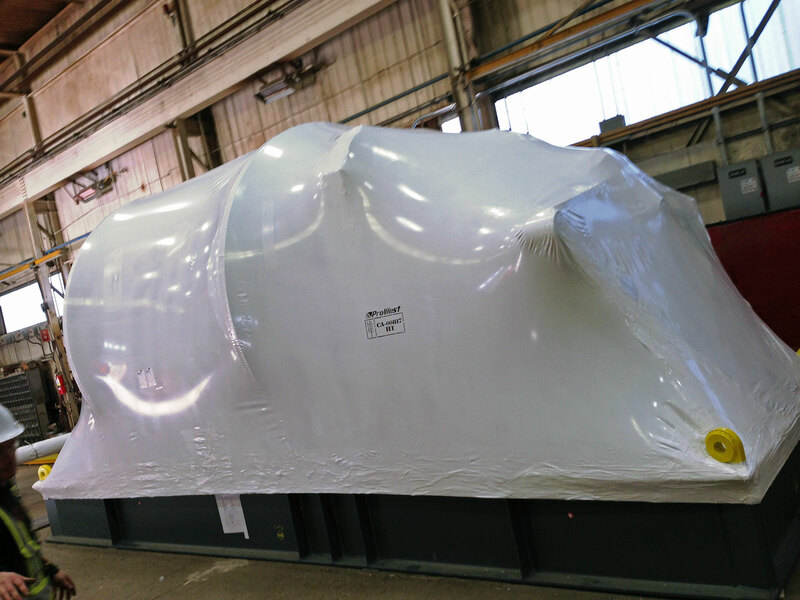 Industrial Shrink Wrap Services - ProWest Shipping & Packaging Ltd. 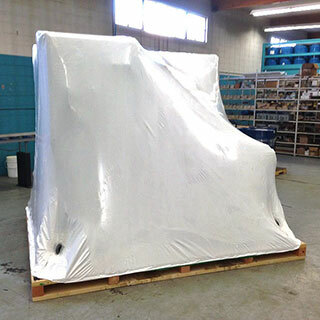 Shrink wrap is commonly used as an overwrap on many types of packaging. 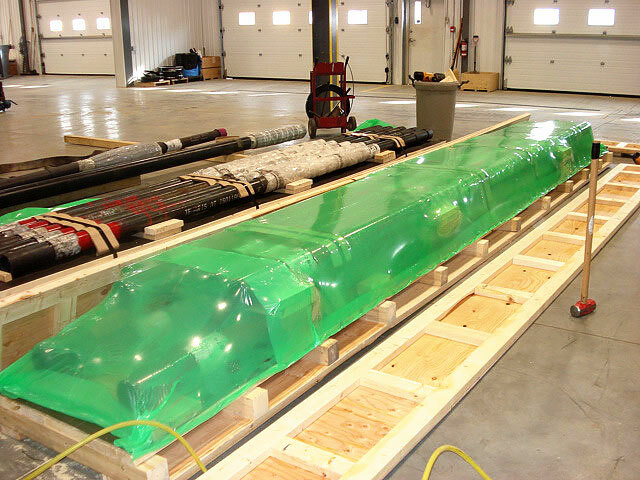 A variety of products may be enclosed in shrink wrap to stabilize the products, unitize them, keep them clean and protected from the elements or contaminants and to add tamper resistance. 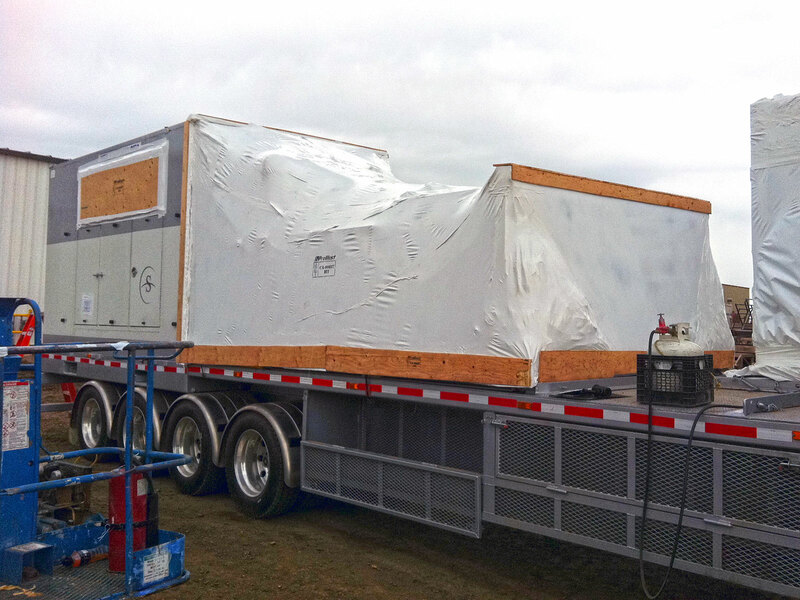 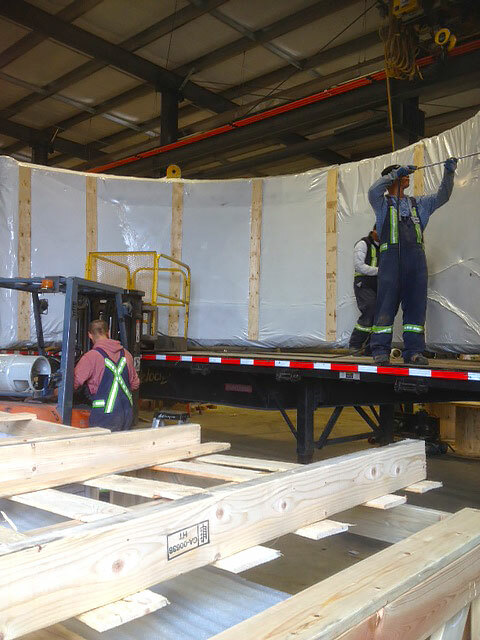 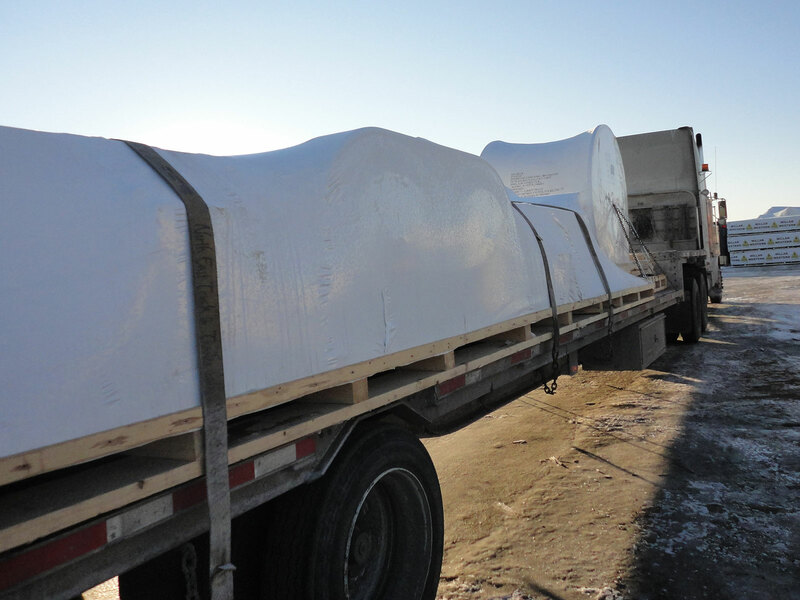 We offer three common types of poly wrapping and customized options such as full and partial wraps or deck wraps, desiccant, and vents and access windows. 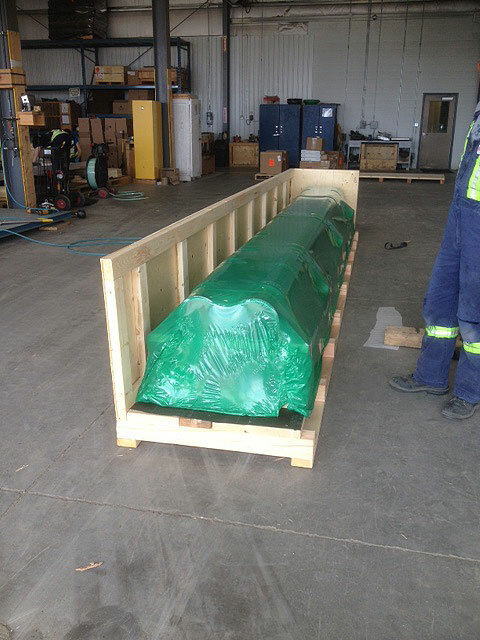 1) VCI: most commonly used on metal products. 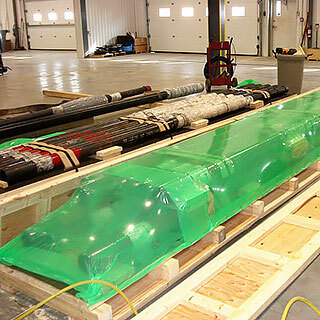 VCI stands for volatile corrosion inhibitor; as the poly is heat shrunk around the product, the chemical vaporizes and forms a protective layer as a barrier between metal surfaces and electrical connections and corrosion causing materials like moisture, oxygen, dirt, salt etc. 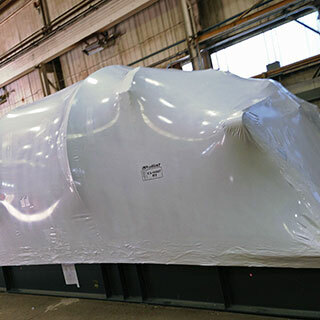 VCI will prevent corrosion for periods up to 2 years. 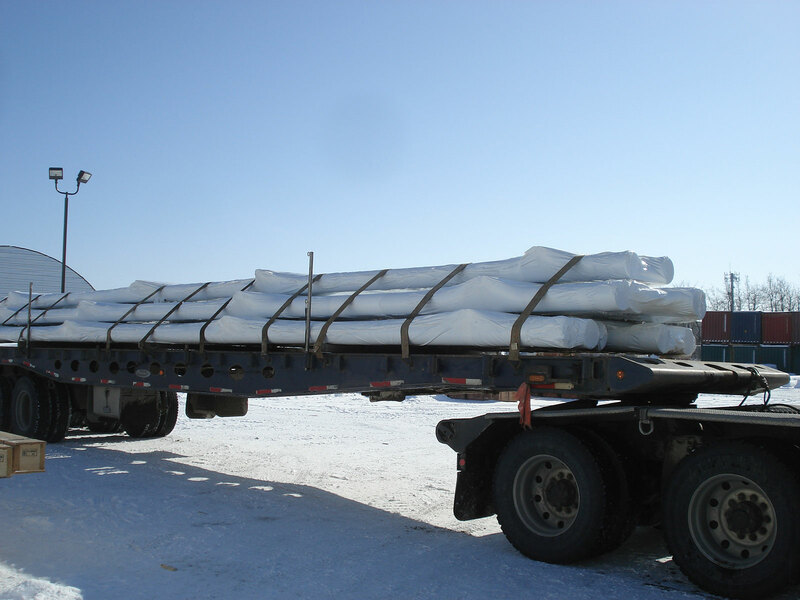 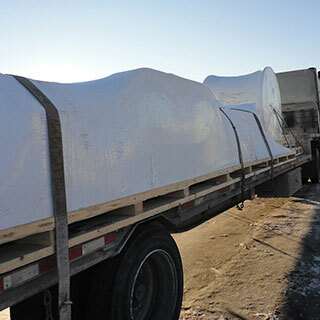 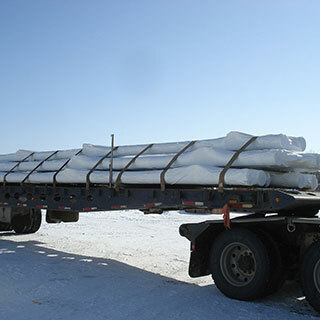 2) White Industrial Poly: Available in various strengths, industrial poly is used to help secure and protect material during transport or long term outdoor storage. 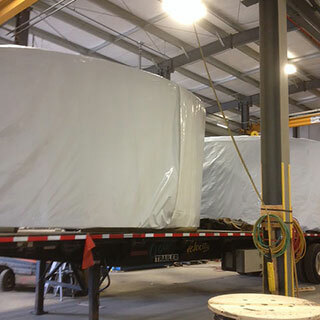 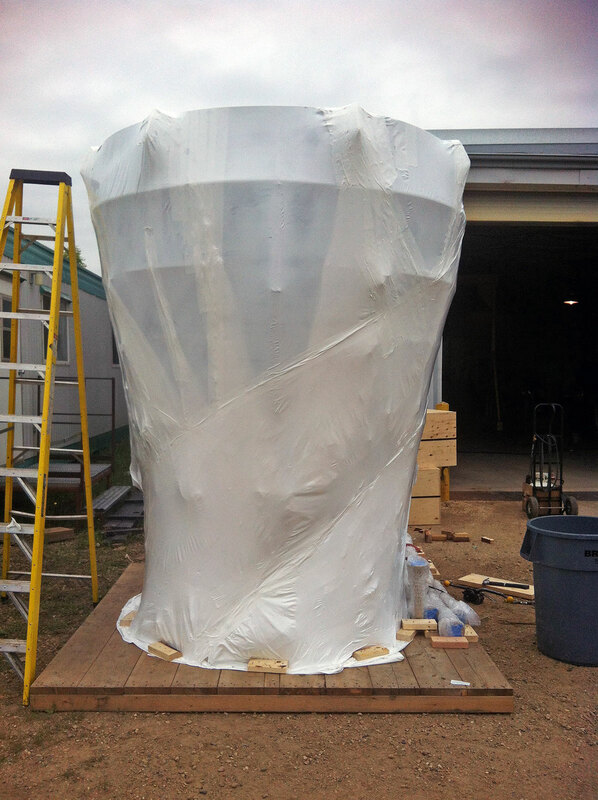 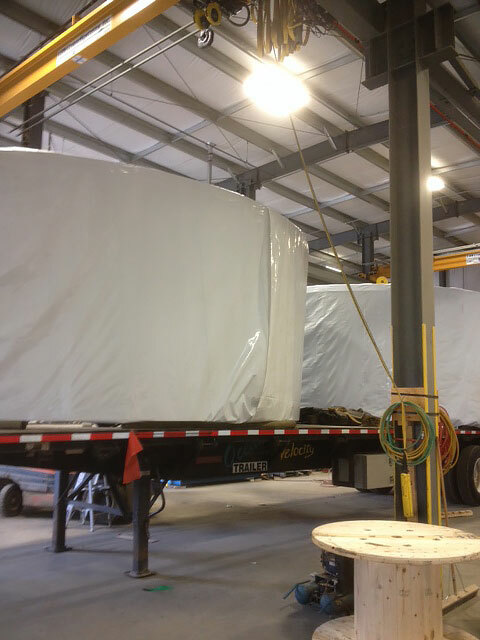 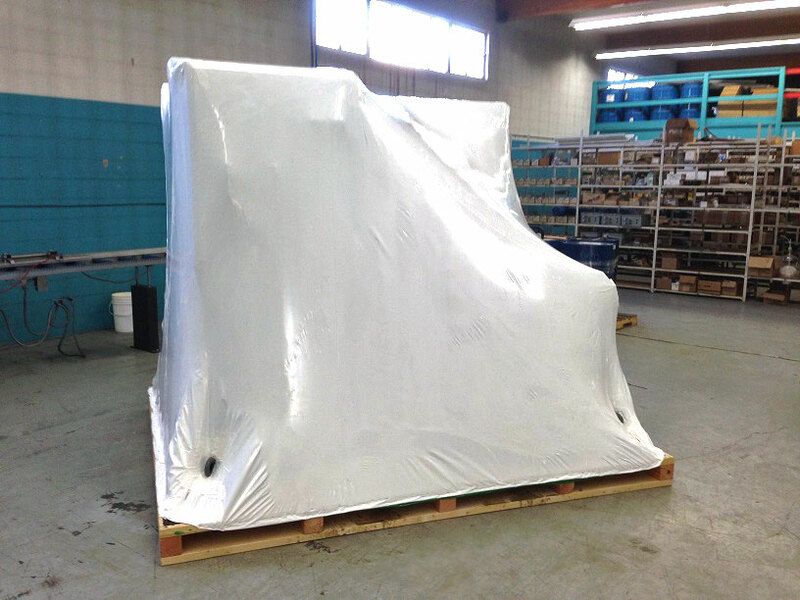 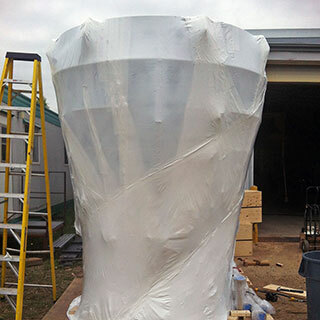 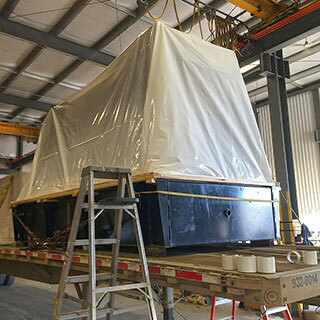 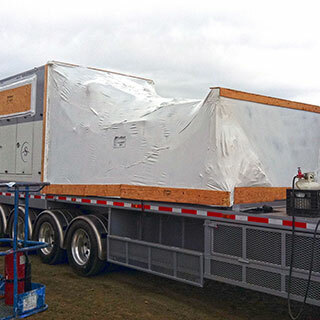 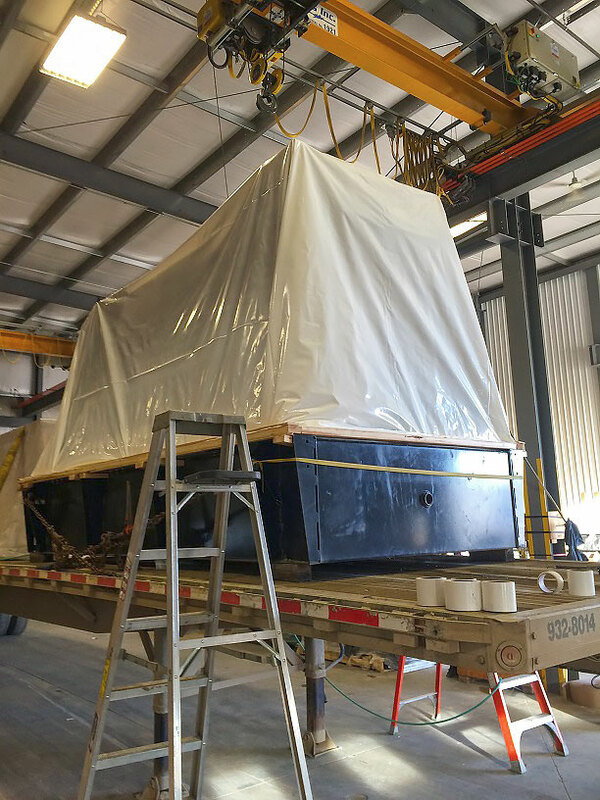 Unlike a bulky, dirty tarp shrink wrap will not move or chafe during transportation or storage. 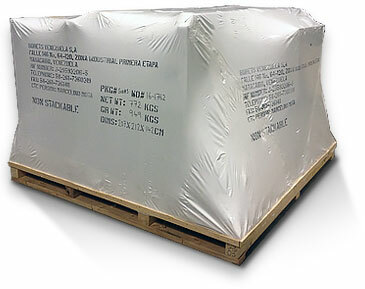 3) Clear: used on products that do not have metal parts. 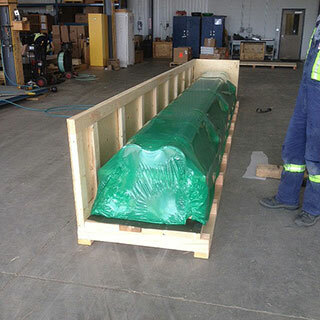 ProWest Shipping & Packaging Ltd.